Well what a great start to the 2017 fly fishing season this has been on the Bristol Waters. Both Chew and Blagdon have been alive with buzzers, making the trout fishing incredible. People have been using nymphs, small lures and even dries at times when the weather allowed. And with more mild weather forecast, the prospects look even better for the coming weeks. 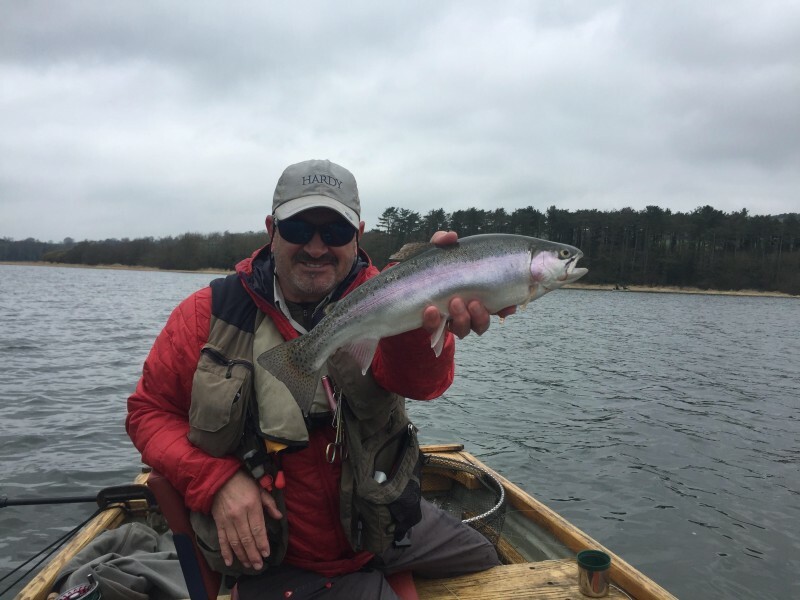 Both boat and bank anglers have been treated to some sensational fly fishing so far this season, with Chew opening for action on 9th march and Blagdon a week later. Some key hotspots on Chew were behind Denny Island and down in Herons Green Bay - even though neither of those areas were stocked prior to opening day! The best area at Blagdon was the Top End, although Butcombe was also good at the opposite end of the lake! Once again, no fish were stocked at the Top End so it just goes to show that these trout will wander to where they find the best feeding areas, regardless of where they are stocked. 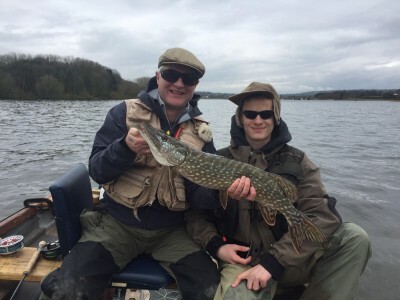 The pike fly fishing on Chew has been pretty difficult so far, but to be fair, there are not many anglers out there chasing them at the moment. I have had several guided days and have boated a few, but have also had a fair amount of missed chances and some follows from very big fish - so I know it can only improve. Now that the new season is well and truly underway, I have plenty of availability; particularly midweek, during April. May is already very busy and June is filling fast. If you would like a guided day on Chew, Blagdon or Litton, then please go to the "Contact" part of this site and let's get a day or two organised! Only 19 days until Christmas, so why not treat someone special to a day's Guided Fly Fishing with the UK's best known Professional Fly Fishing Guide, by giving a "John Horsey Gift Voucher". 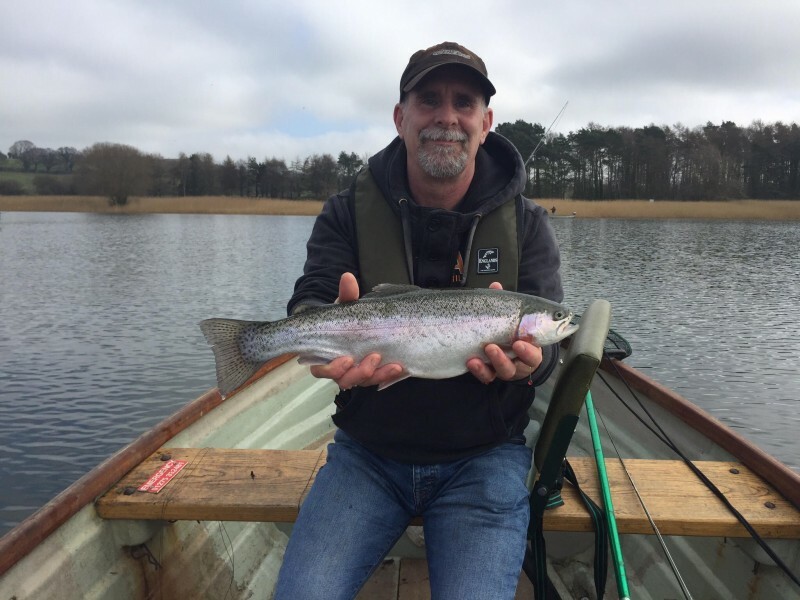 John has 23 years guiding experience and can be booked for a "One to One" guided fly fishing day from a boat on beautiful Chew Valley or Blagdon Lakes. Alternatively, maybe you would prefer a day for 2 anglers, where regular friends or boat partners both get to benefit from John's vast experience. John also gives casting tuition during the months of November through until March. A 1 hour casting lesson costs just £30 per person and John provides all rods, reels, lines and terminal tackle. John Horsey Casting Gift Vouchers are also available for Christmas and other special occasions. 2019 Trout Season starts with a BANG! What a season that was! Cold Spring but Great Fishing! 40lb Pike on the Fly! Chew starts with a bang! Bookings being taken for 2014 Season! Catch us on Tight Lines this Friday! Here it is - our new fishing Series on C5! Summer arrives - at last! What a week on Chew! Massive Buzzer hatch on Chew! See John on Tight Lines tonight and Soccer AM tomorrow! New Season only days away!!!!! Trout fishing amazing on Chew! Huge 35lb 5oz Pike today on Chew!!! 2 days of magic on Chew! 2012 Lexus Team Final kicks off today. Will this rain never end? Big Trout, Rare Birds and sunshine! Scintillating sport on the Bristol Waters! Chew Valley opens in style. Blagdon opens in just 3 days! My first Chew 30 of 2012! Pike Trials finish with a BANG! Pike Trials begin on Monday!!!! Italy World Championships did not go to plan! New Lexus Heat added at Draycote on 31st July. Will these winds never end? ARRGHH!!! Strong winds and bright sunshine - the worst fishing conditions! Heatwave helps the trout fishing! Chew's Best Opening Week Ever! Best Chew Opening Day for years! The New Lexus Fly Fishing Championships Website is Officially Live! New trout fly fishing season only days away! Dyson cleans up with a near 24 pounder! Big Pike hit the Lures! Let the 2011 Chew Valley pike trials commence! Welcome to the brand new website!